Of cause I have already written about pheasant feather dresses, but because they are just amazing I am going to write about them again. Also I am pretty sure that it has been a few years since I wrote about them, and I definitely didn’t have these great pictures. I split these into three separate categories in my mind. One for each dress. In the wild, like in this dress things grow large, and have beautiful colors. Pheasant feathers seem to go great in all scenarios, but the wild natural setting is was seems to fit them best. Now the wild needs to be tamed for us people. True that not allways is this the case, many times the wild goes very well on the runway. But as far as this dress here goes, the wild has been given very straight edges and an office executive type feel. Yes but still its very wild. And then we have the theater stage, which seems to be the combination of the two. This pheasant feather dress has a very elegant vibe to it. It gives off a feel of the middle ages. It could also be the gown worn by the queen of some mystical people. To hot for a feather Jacket or coat? 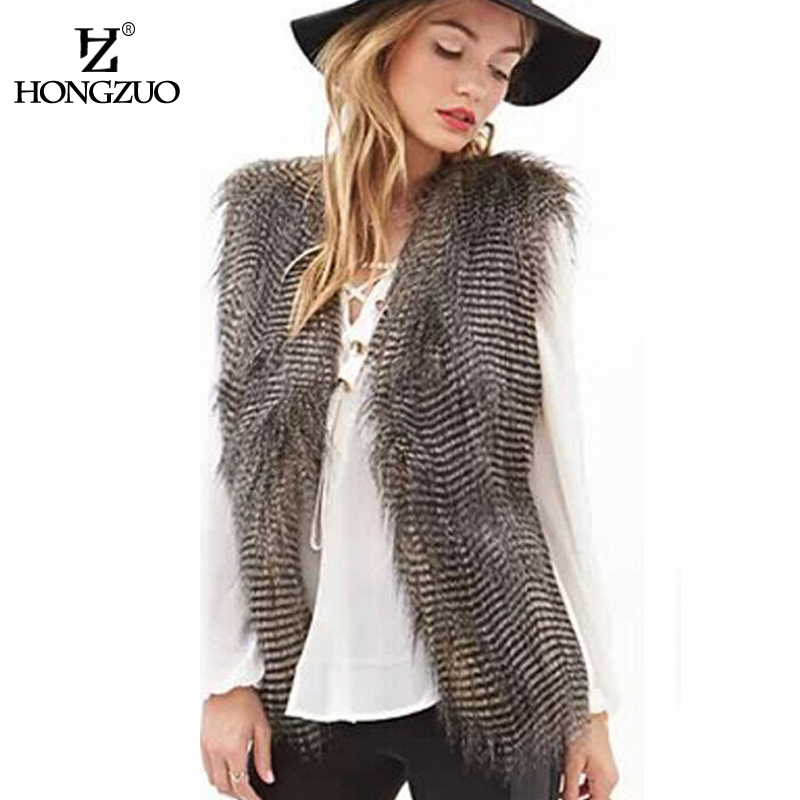 Try a feather vest to add some glamor to your casual summer wardrobe. 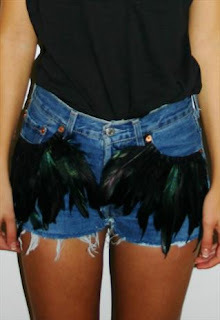 Take a look how good this feather vest looks with a pair of jeans and t-shirt. Or in this picture, see how a feather vest added to a pair of tights and a t-shirt can just make the outfit. But not all feather vest are as simple as the two above mentioned. Extra feather flare for your summer clothing selection. Now these are all just the tip of the iceberg when talking about what you can do with feather vests. 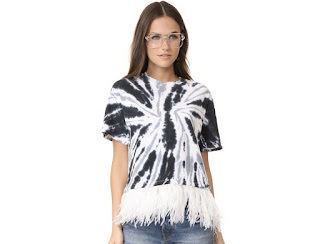 Add some feather fringe to the bottom. A cool feather design on the back. As always, the possibilities are endless. Of course I have written post about feather skirts in the past, but to the best of my recollection I have never posted these pictures before. Now to be totally honest with you all, I don’t remember where I found these pictures, and the source is really not relevant for the purpose of this blog post. I just want to share with you some great looking summer feather dresses, and maybe give you some good ideas for you summer wardrobe. Just take this first picture for example. 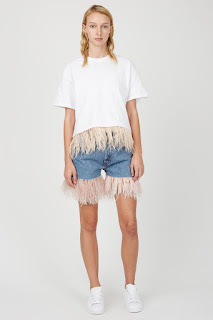 This colorful feather mini skirt can be made very easily by attaching two or three layers of Coque fringe to any plain mini skirt. Look how great that looks with a casual t-shirt and denim vest. Ok, those shoes do give the whole outfit a bit of a non casual look, but it is still something you could wear to the mall. This next piece is not a skirt but a one piece feather dress. I added this elegant white, feather fringed dress any how just because it is totally for the summer. 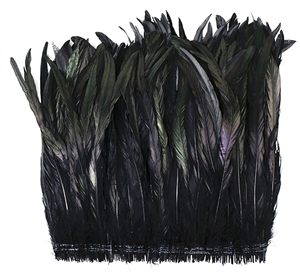 Straight and colorful with a professional feel, this feather skirt is great for a summer day at the office. At least that’s what I think when I see it with the blazer she is wearing. Here is something to wear for a summer night out on the town. 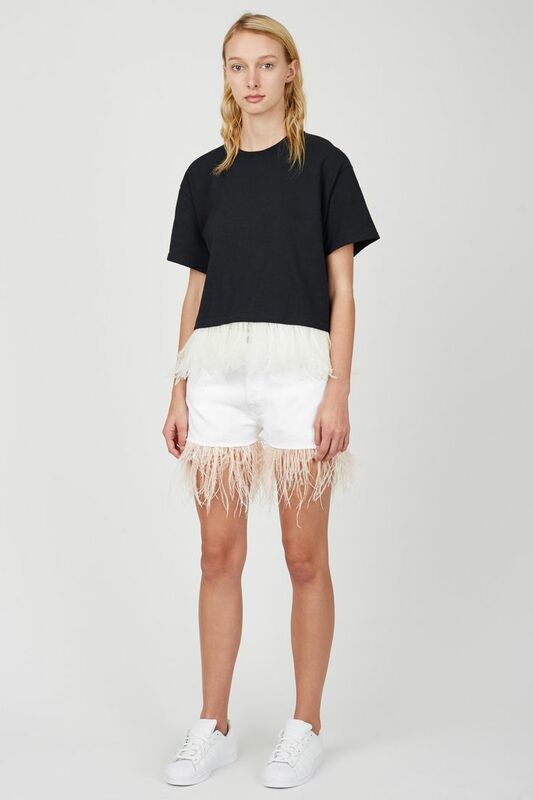 This black ruffled feather skirt and leather jacked are perfect for clubbing. Now you all Know that I usually stick with actual feathers, but some times I come across a feather print that I just must share with you. This feather print wrap around is just such a case. Its perfect for that summer day that you want to go out to eat on your way home from the beach or pool. In my opinion nothing says summer louder than a pair of denim shorts that show off your thighs. Add a bit of feather trim and in a flash, those denim shorts are a whole lot more than just what you wear to go to the beach. I know that I am starting off just talking about denim shorts, and don’t worry there is more than just denim here. But just check out that perfect…feather trim. And after these I promise no more jean shorts, but just to give you another idea how this can be done. 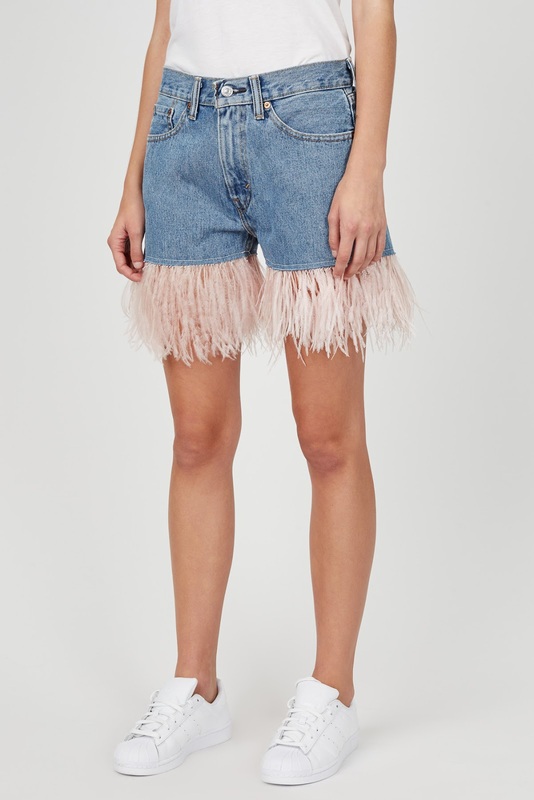 Here are a pair of none denim, feather trim shorts that are a bit different. Any way, you get the point. So there are tons of t-shirts out there with feather print on them, but very few with actual real feathers. True that even these are just feather, but think about it, if it was anything more then it wouldn’t be a t-shirt now would it. The thing that is great about these shirts is the fact that they once again prove the point, that just a touch of feathers can make the most basic of clothing special and elegant. In addition to proving the above mentioned point, just take ideas from these shirts and think about how far you can go.